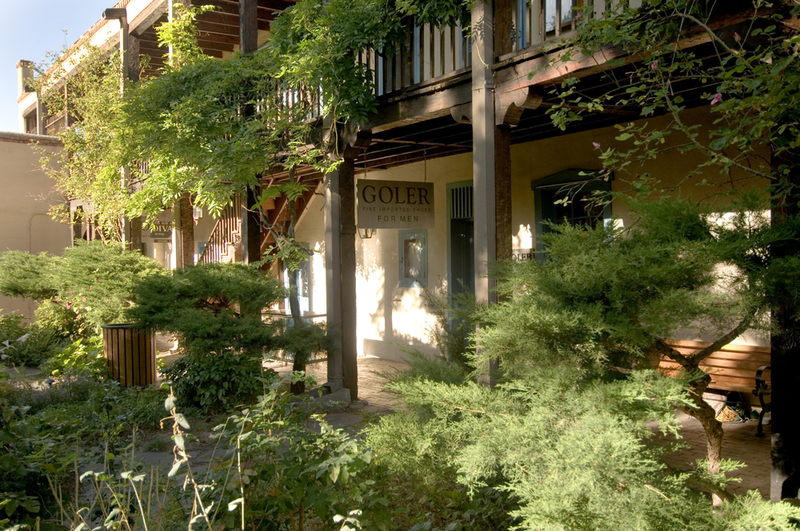 We’re nestled in the lush Sena Plaza in downtown Santa Fe—amidst an eclectic mix of shops and kitty-corner from the renown restaurant Casa Sena. 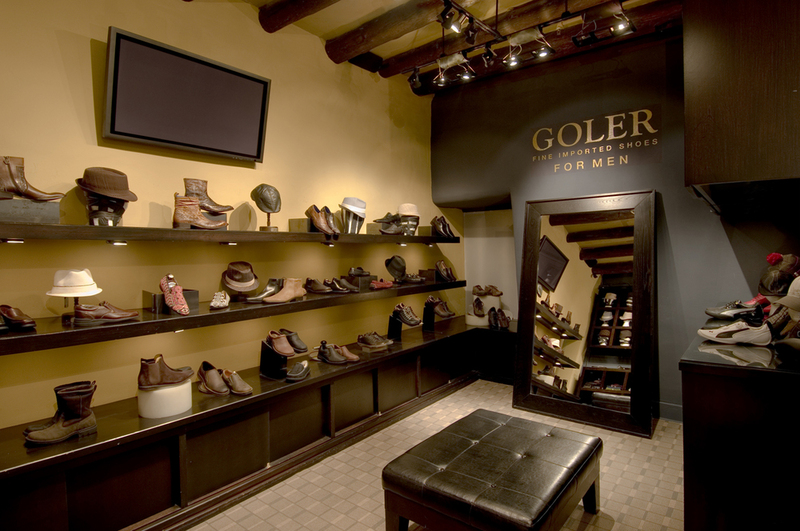 Goler Fine Imported Shoes opens its front door right onto Palace Avenue, across from the Museum of Contemporary Native Arts and Cathedral Park. Come and experience our cosmopolitan store and be inspired! Guadalupe, Paula and Alfonso, along with their friendly staff, are ready to help you find the perfect pair (or two!). One hour parking in the Sena Plaza lot is always free with purchase. The Sena Plaza lot is on Nusbaum Street, halfway between Washington and Otero, opposite the public library lot. When you stop in, check out the latest fashions from our seasonal collections for men and women, and don’t forget to try your luck in our Monthly Drawing!